After appearing on NEW LEASE MUSIC with effort ‘The Moment’, J.A.S (Just A Star), has dropped the long-awaited visual to his debut single. The ten-minute production features the South African rapper/producer/songwriter (pictured far left in the above image) partying hard from dusk till dawn with fellow native emcees, including Sy’Defect and Nevita. The explosive visual also features J.A.S‘s follow up track, ‘The Takeover’. 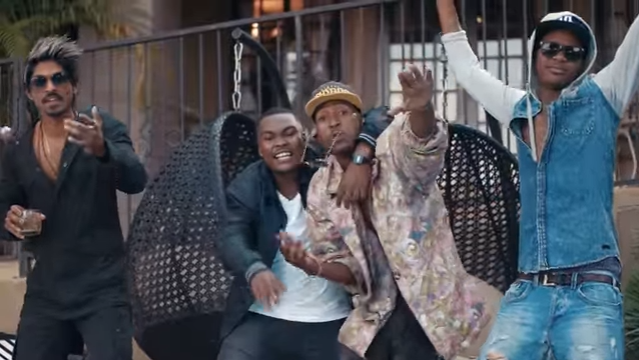 Unsurprisingly, the music video received heavy rotation on various South African TV networks, including MTV Base, Trace and Channel O. Formerly with South African electro-pop group, Tiger -X, J.A.S – real name Jayd Soliar – is currently working on his debut album, entitled ‘L.I.F.E: The CAUSE’. ‘The Moment’ is now available on iTunes.